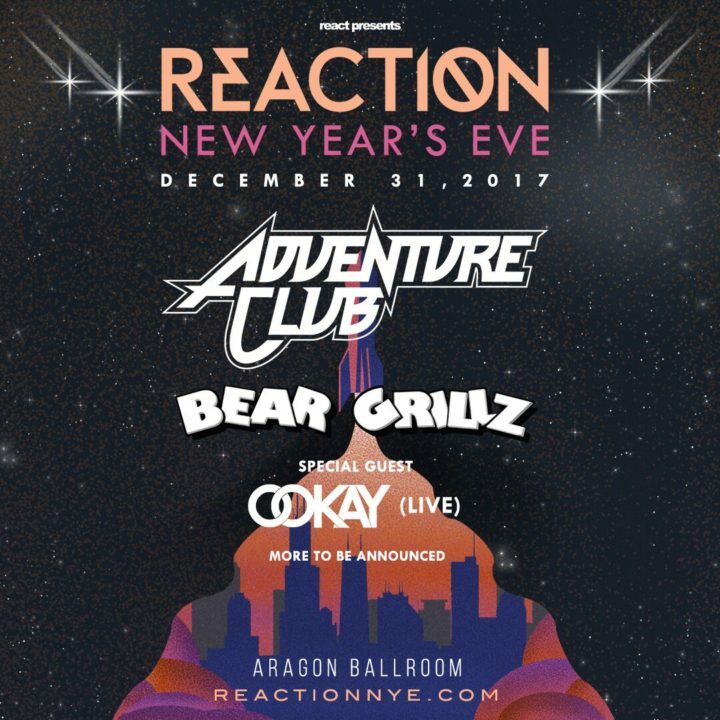 Chicago’s annual Reaction NYE celebration returns to the city limits with a special one-night event at the legendary Aragon Ballroom featuring Adventure Club, Bear Grillz, and a special live performance by Ookay. Reaction NYE tickets are on sale now and we’ve got your chance to win a pair of tickets to the show. Deadline to enter is Tues., Dec. 19 at 11:59 p.m. CDT. One submission accepted per person. Must be 18+. Travel and lodging not included. Good luck!